The old country look and style that you desire! 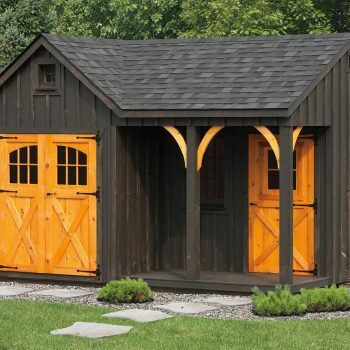 The heritage series features many more different type of wood finishes then our common shed series. 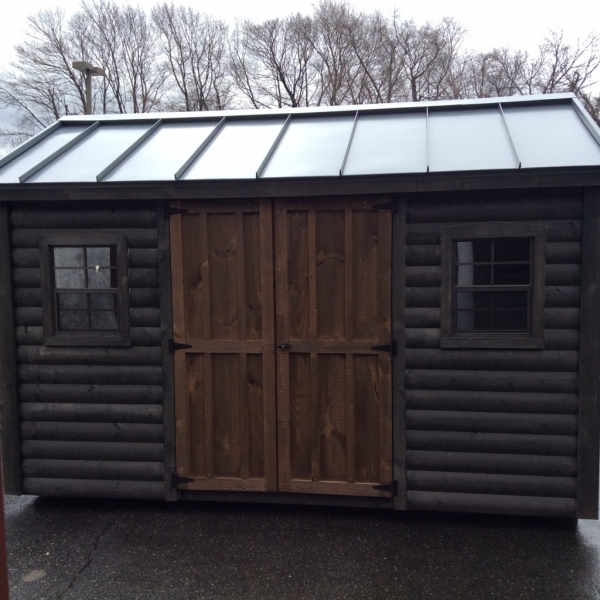 We feature board-n-batten, log cabin, cedar, cypress, pine and more of a rustic looking shed in this line. 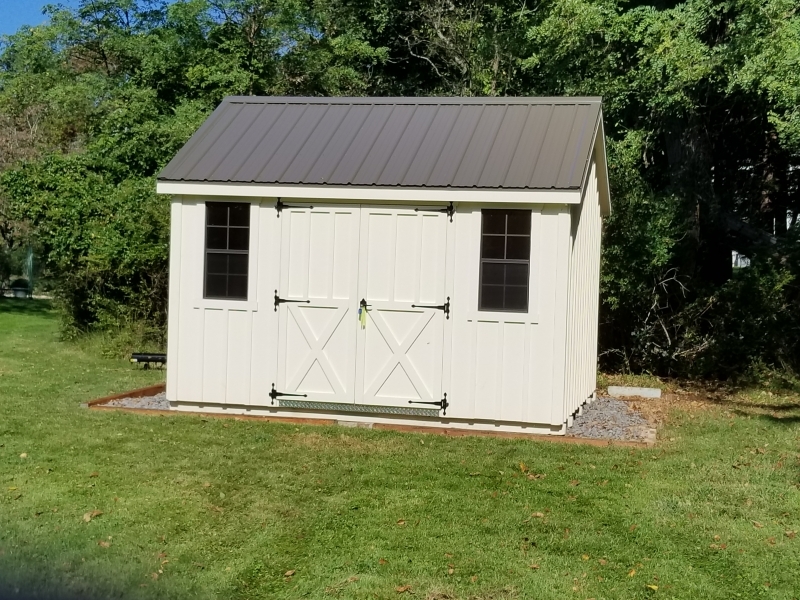 While most shed models are available in this series we also offer,1 car garage,2 car garage,3 car garage,2 story buildings,2 story garages and more! Usually the Heritage Series is finished with stain or left natural, but we also offer this series in paint. 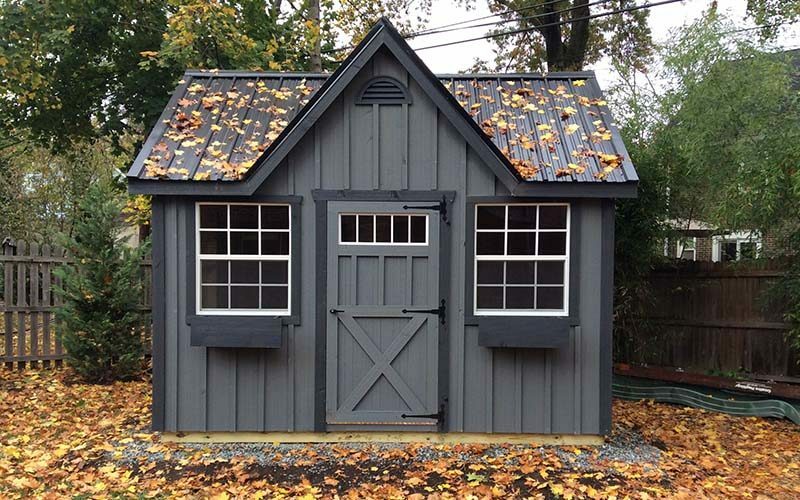 These sheds are used for for simple storage and can also be turned into a cabin getaway, outdoor office, or man cave. The board-n-batten is usually done with a vertical pine board that is cut and rounded to give that log cabin look and is usually left more of a natural look. 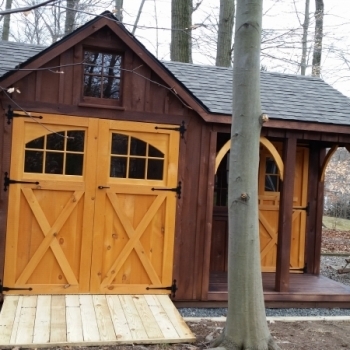 The cedar sheds are usually done in a horizontal tongue and groove or ship-lap look. 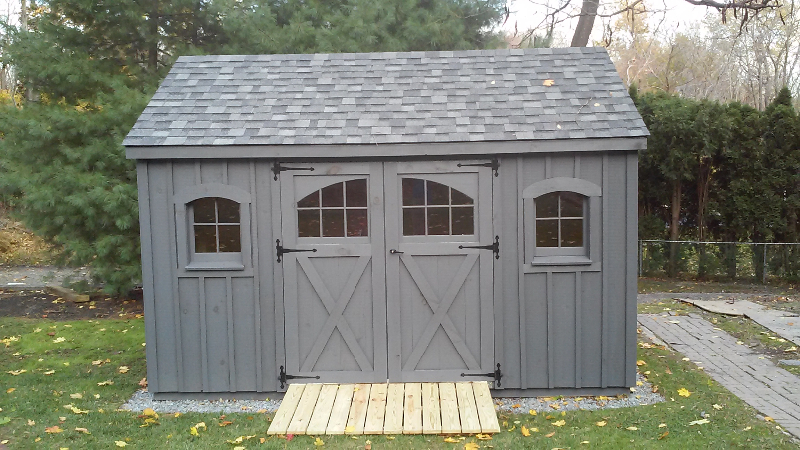 The cypress shed is what we describe as a “swamp wood look” that we often use on our outhouses and corn cribs. 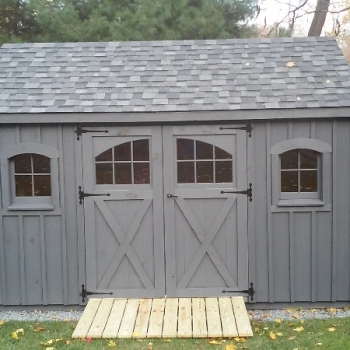 The pine sheds are done with either a tongue and groove horizontal or vertical look. Some of the interior framing is done with a post-n-beam, different than most other shed models. 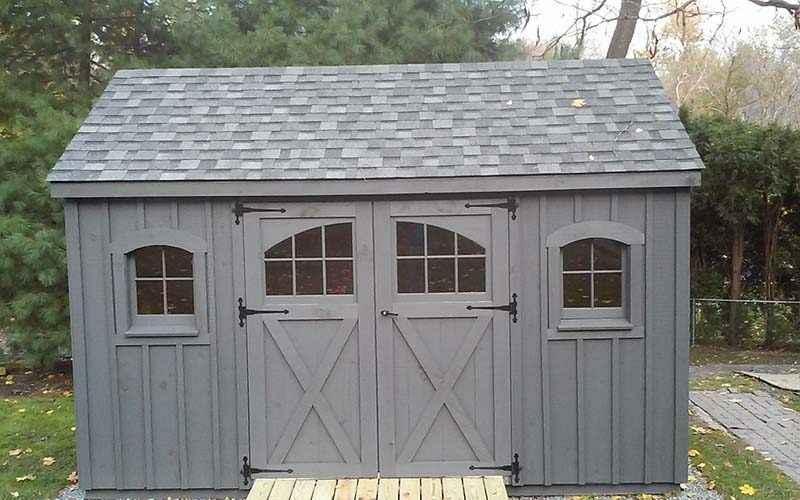 We offer many different color choices of stain and roof options. 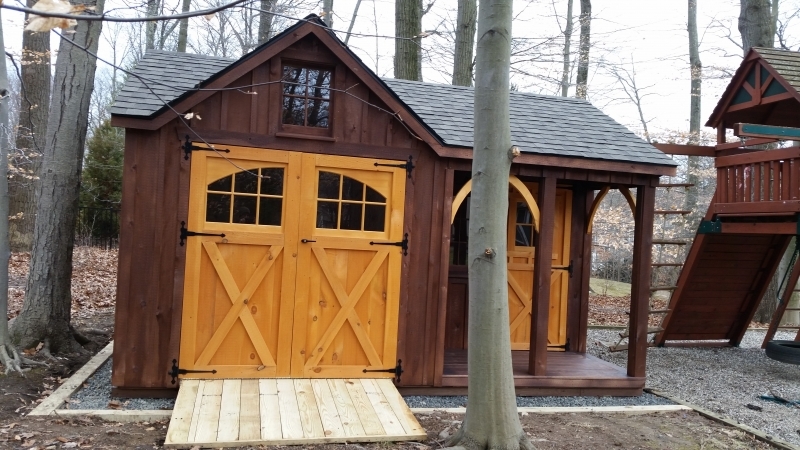 While using our highest quality wood and building materials, we can also allow for a variety of custom work. 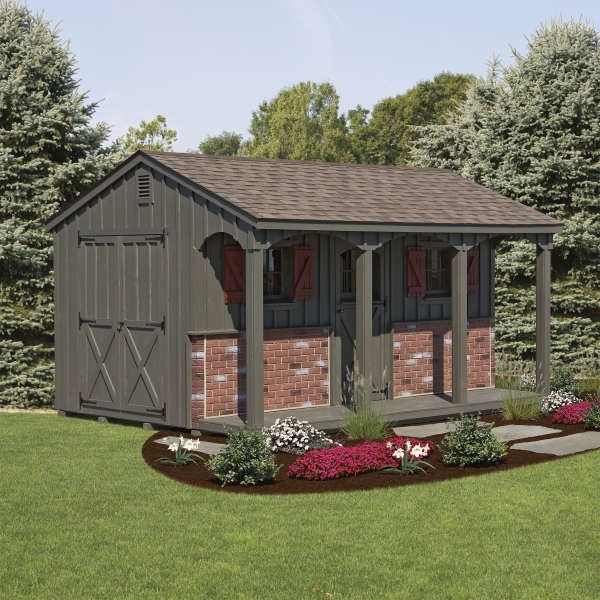 Some of our popular options include carriage doors or window, stone work, dormers, and more. 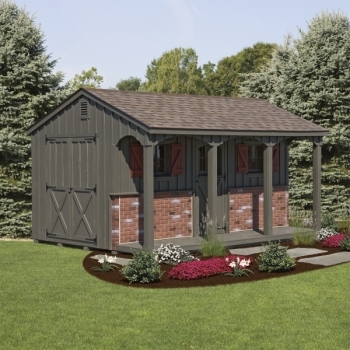 Many animal shelter models, including horse barns, run in sheds and hay feeders, can be done in the heritage series. 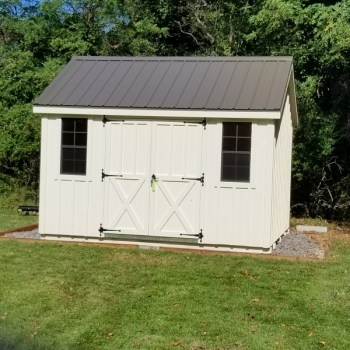 We also feature a hinged roof system on some of the animal shelters allowing for more coverage on the front of the building.